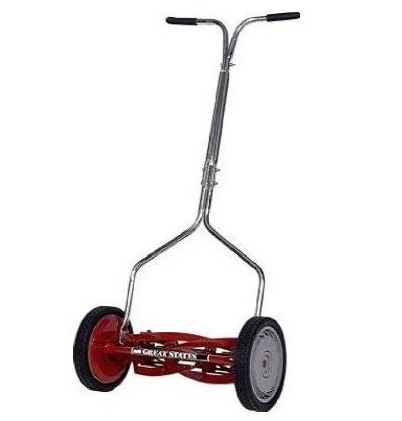 The Great States Reel Mower is made by the American Lawn Mower Company, and is designed as an entry level machine. The Great States brand is one of several names this line of mowers can carry - you might find an identical machine at Sears, for instance. All of the mowers in the Great States line have one thing in common - they are all considered ‘entry level’ machines. This is not necessarily a bad thing. For instance, if you have a small yard, if you rent your home, if you will be moving soon, then a cheap mower may be just the ticket. The Great States Push Mower is not the lightest, most durable, or the quietest push mower available. Really, for this price, who cares? This brand is designed for the homeowner with a small yard, that mows infrequently. If this describes you, Great States could be the brand for you!